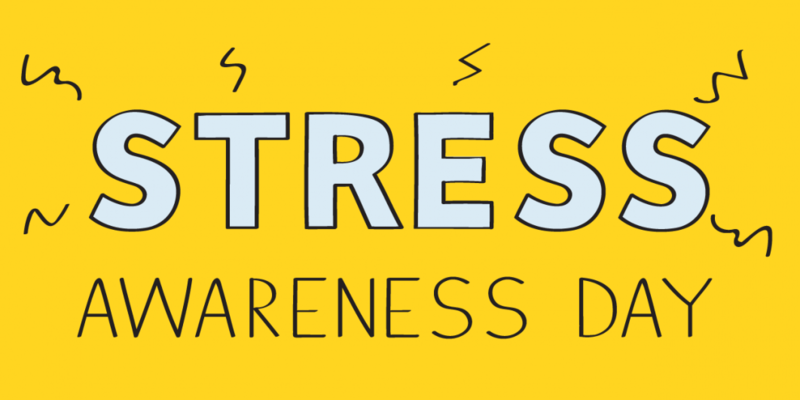 Stress can be a big issue, both in the workplace and in our day to day lives. Stress serves a solid purpose in human biology, but our modern lives have brought about a surplus of causes that haunt us from day to day. When we are faced with a challenge, or a threat to our well-being, the body experiences stress. Whether you’re dealing with a job that puts you under tremendous pressure, or face struggles in your life or relationship that leave you in a state of constant worry, stress can be a real killer. It is also important to note that not all stress is bad stress. It is important to find a balance. Stress can push us to do great work, or push us over the edge. According to what is known as “The Yerkes-Dodson law,” performance increases with physiological or mental arousal (stress) but only up to a point. When the level of stress becomes too high, performance decreases. There’s more: The shape of the curve varies based on the complexity and familiarity of the task. Different tasks require different levels of arousal for optimal performance, research has found. Higher scores, as you might guess, correspond to higher levels of stress. Based on studies in executive education classrooms and in research conducted with other groups, scores around 13 are considered average. Usually, scores in this range indicate that your attention and interest are at the proper level, allowing you to be productive at work. But if your score is much higher or much lower, you’re likely experiencing stress in a way that is detrimental to productivity. In particular, scores of 20 or more are generally considered to indicate an unproductive level of stress. But even scores that indicate low levels of stress—commonly, scores of 4 or lower–could be problematic since they signal an insufficient level of arousal to keep you engaged in your work. If this is the case, try to find healthy ways of raising your stress by taking on more challenging tasks or responsibilities. Increasing stress may feel counterintuitive, but remember that increasing arousal also corresponds to increasing attention and interest (up to a point). Find more opportunities to be authentic. Evidence suggests that people often experience feelings of inauthenticity at work. That is, they conform to the opinions of colleagues rather than voicing their own. When people behave in inauthentic ways, they experience higher levels of anxiety than when they are simply themselves. So, try to find ways to express who you are at work, such as offering to share your unique talents or decorating your office to reflect who you are. Add some plants- integrating plants into the work environment has been proven to reduce absenteeism, employee turnover, lower blood pressure, and increase positive feelings. 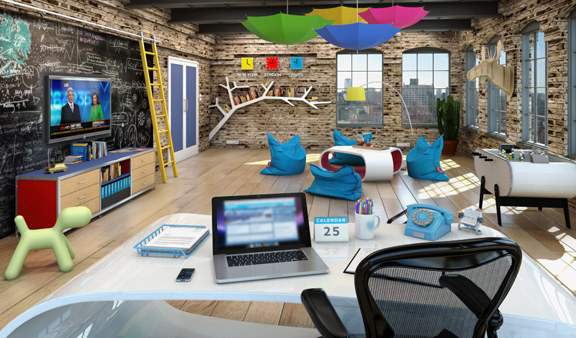 Change the layout of your office. Place your desk in a way that you can see people. Being in a cubicle all day can be stressful. But if you are able to view others, that human interaction can help reduce some stress. Redecorate! Change out your pictures, add some color. Have some fun with it. Use rituals. Basketball superstar Michael Jordan wore his North Carolina shorts underneath his Chicago Bulls shorts at every game; Curtis Martin of the New York Jets reads Psalm 91 before every game; and Wade Boggs, as third baseman for the Boston Red Sox, ate chicken before each game and took batting practice at exactly 5:17 p.m., fielded exactly 117 ground balls, and ran sprints at precisely 7:17 p.m.
Keep Your Work Space Clean and Organized. Mess equals stress. 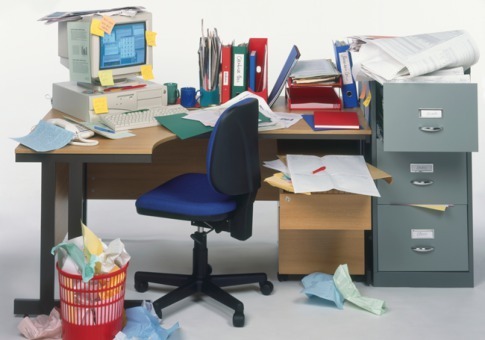 For most people, it is very difficult to focus when their desk is filled with papers, phone messages, business cards, magazines, letters, and mail piled miles high. A simple filing or organizational system will help you mentally feel less cluttered at work, making you feel like you aren’t “forgetting something”. Incorporate some exercise into your day. If it doesn’t distract anyone around you, play some soft music and stretch it out. You won’t be able to get rid of everything that has been stressing you out during the day, but taking a minute to remove yourself from it can really help. Not only that, it gets your blood flowing and genuinely makes you feel more awake and happier, reducing some stress. 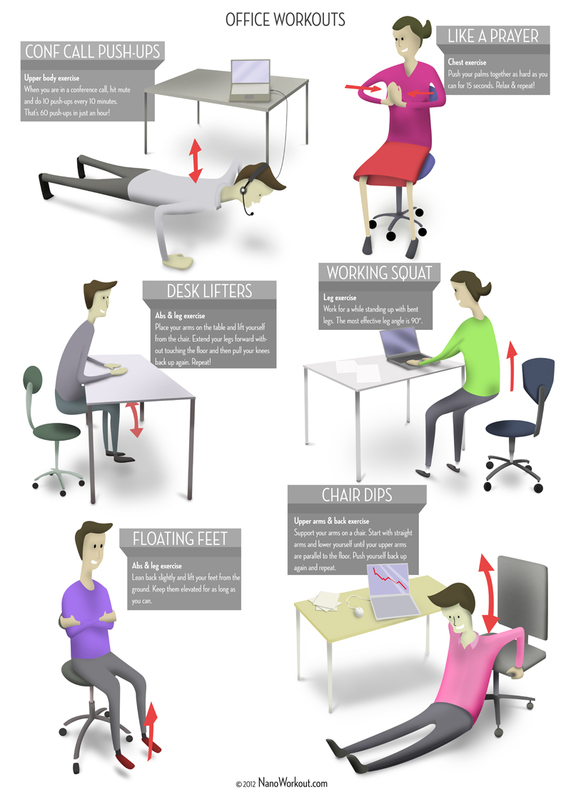 Check out our ergonomics blog to learn some more exercise to do at work.